What's a cat burglar to do? 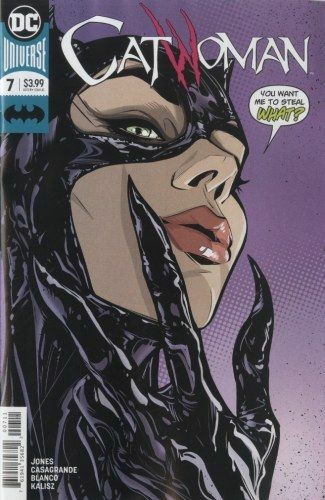 When things went bad for her in Gotham, Selina Kyle picked up stakes and moved to set up a new life in Villa Hermosa. Things went about as well as they could for an international super-criminal, particularly now that Catwoman has established herself as a major player in her new town. Too bad the past always has a way of catching up with you. Gotham comes to Catwoman in the form of the Penguin, fresh from his most recent tussle with Batman, and he's not just looking to horn in on Selina's new scheme; he comes bearing hot goss about everything-and everyone-Selina tried to leave behind.